A chaotic January of 2016 is over, and given the dramatic downside excursion in the equity and oil markets, even committed value investors could be forgiven for wavering. Even though prices are somewhat above their nadirs, the frequent swings of several percent a day in the oil markets and stock indexes give the impression of market participants who have no idea what is going on but feel the need to join in anyway. Now, my specialty is not in macro forecasting, as value investors pride ourselves on having a bottom-up approach. However, bottom-up doesn’t mean bottom-and-then-stop; and furthermore, the ability to handle hypothetical economic developments helps any market participant handle actual developments, even if detailed macroeconomic projections are more trouble than they are worth. Awareness of the current economic and financial situation and how it may validate or invalidate our views of a company’s earnings power is certainly a good thing. 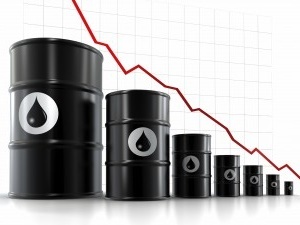 The market’s current source of bad news, of course, is the collapse in the price of oil. Always keep an eye on the bad news; good news can take care of itself. I don’t claim to know the “correct” price of oil–remember, my view is that detailed macroeconomic projections are more trouble than they’re worth–but I can look at the effect of this dramatic decline on the broader markets. First off, I hope this puts another nail in the coffin of the view that hyperinflation is lurking just around the corner and the only cure is growth-crippling austerity. Part of the collapse of the oil prices is to do with a stronger dollar, as the Federal Reserve has been largely unsuccessful in its efforts to create higher inflation expectations and recently made an unnecessary interest rate hike presumably in order to stop those annoying questions during Congressional hearings. If anything, the problem facing our monetary policy is the risk of deflation. The other cause of oil’s strength is the supply glut brought on by the fracking boom meeting a determined Saudi Arabia. The chief difficulty facing the frackers is that apparently oil extraction is a capital-intensive industry, and in recent years they have taken advantage of low interest rates to fund their production with high yield debt. Some of them also may have had the foresight to hedge their future production by shorting oil and gas in the forwards and futures markets, which they are bound to deliver on whatever the price. Thus, there are two reasons why the frackers go on producing oil even if it is uneconomic to do so: if they have hedges in place they don’t care about the current price, and if they don’t have hedges in place they still need all the cash they can get to pay their debts down as fast as they can. Bringing about such a situation may have been the original intent of Saudi Arabia, as a move to eliminate the United States fracking industry the way the Japanese were accused of doing to the consumer electronics industry in the 1980s. If so, their strategy is flawed, as fracking technology can be made uneconomical for a time but it can’t be un-invented, and oil doesn’t need a brand identity the way consumer products would. The destabilizing effects on other oil-producing nations may not be so minor, but they are outside my field of expertise. As an aside, the obsession with United States energy indepedence on the part of some of pour presidential candidates seems at present an equally counterproductive strategy, given that Saudi Arabia’s cost of oil production is said to be about $10 per barrel, while in the United States it is $36 on average according to cnn.com. At first approximation, then, true energy independence could cost up to $26 a barrel for every barrel of oil no longer imported, which at an estimated 9 million barrels per day, would cost $87 billion dollars a year. Perhaps if oil were much higher I would see more strategic value in it, but directly taking on a determined supplier whose cost of production is less than one third of ours is not what I would expect from the party of businessmen. At any rate, the drop in the price of oil and the frackers trying to drill their way out from under their leverage will only exacerbate the oil glut in the short term. It seems the recent levels of fracking investment and leverage could only be justified based on the assumption that oil prices would remain high forever, which has already invited comparisons to the subprime crisis. On the plus side, oil is unlike housing, in the sense that it doesn’t stick around for decades after it’s been drilled, and so eventually some bankruptcies and production shutdowns should resolve the problem eventually. I’ve seen estimates ranging from the second half of 2016 to 2017, and again I have no opinion on when it will happen. What concerns me, though, is not the effects that are confined to the oil sector, but those that might spread through to the broader economy. As I stated above, the oil companies financed their operations by issuing debt that is in many cases beyond their present ability to repay, at least within the lifespan of their hedges. If I were a corporate strategist, and knowing as I do that the production curve for fracking is highly front-loaded, with the majority of production occurring in the first year of a multi-year project, and certainly within the lifespan of available hedges, then I would suggest a more project-financing-based approach, where the production of a set of wells, pre-sold through the forward markets, would pay off the principal and interest of all the investments required to develop them. Perhaps fracking production cannot be projected with sufficient accuracy before the wells are actually drilled, but there has to be some solution between what I propose and the current mess. Perhaps with oil above $60 a barrel no one bothered to look for it. This overhang of debt, though, is sending shockwaves through the high yield market already, and a wave of bankruptcies will make things worse. Moreover, not all of this debt is in the form of junk bonds; a significant portion of it is in the form of bank debt, and now the analogy to the subprime crisis can be revived. Banks have been as hungry for yield as any other fixed income investor, and they are now looking forward to writeoffs. The risk is that the banks will have to make up for these loan losses by diverting money from their other lines of business like lending to the non-oil portions of the economy, as well as finding themselves in the position of holding uneconomical oil assets the way they were holding unproductive real estate in 2008, all of which costs them a great deal more regulatory capital than performing loans would. JP Morgan, for example, claims that its loans were backed by physical assets, but these physical assets are oil fields that are not economical to develop at $30 a barrel, and oil drilling equipment that the market doesn’t currently need because the oil fields where they would be deployed are not economical to develop at $30 a barrel. And even if the banks’ ability to lend is not greatly hampered by responding to bad debts from frackers, their desire to lend may well be. So, where does that leave us investors? Obviously we should avoid oil, anything that extracts oil, and anyone who primarily lends money to either of them. Furthermore, any products that are energy-intensive to produce should be viewed with caution as their historical results may not be reliable and it is not a given that they can keep the difference in oil prices for themselves rather than pass it on to their customers. Also, given the strong dollar and deflationary environment, it might be advisable to tread carefully with any company that makes “things,” at least things without a substantial labor component. It might also be advisable, given the possible mess in the high yield markets, to avoid companies that are going to need to borrow a lot of money in the near future. This leaves us with service companies and financial companies that have no exposure to petroleum, and there are probably any number of them that have been unfairly punished by the market’s retreat.